Once you’ve finished recording your music, and had your product manufactured, you are ready to sell your music online. This is done through what is known as physical distribution. Sure you can sell your CD or vinyl on your website, or live shows, but what about the rest of the world. Wouldn’t they want to hear your music too? Don’t get stuck with boxes of unsold albums, use physical distribution so that wider audiences can buy your music too. We understand that selling physical products can be frustrating, which is why we created our physical distribution option to help. Don’t worry if you’re not ready with your physical product, there are options for music distribution and video distribution too. 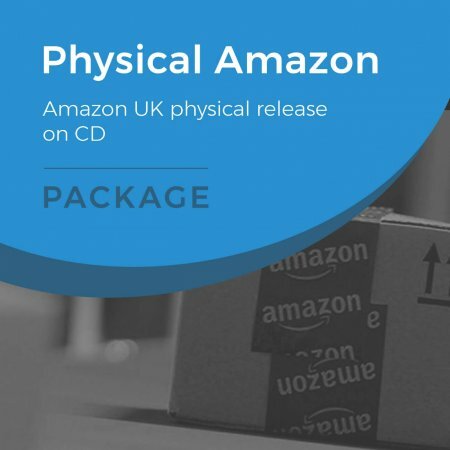 Through our physical distribution package, we can help you get your release into Amazon.co.uk within a few days. There is no requirement to sell hundreds of albums or have a huge marketing campaign, our packages are designed for everyone. Once you’ve chosen the package and uploaded your information onto MyClientZone, you’re ready to send us some physical copies. We will take a small amount from you to start with. These are then sent to Amazon UK as orders start to come in. We will ask you for more copies of your album as we need them. You can rest assured that your product will be handled safely and royalties are passed back to you at the earliest opportunity. You will earn either 80% of your royalties from the sale of your release on Amazon UK. Additionally, you can log into MyClientZone at any time to check how well your release is doing. If you would like to sell your physical product elsewhere we would be happy to discuss options with you. We are committed to creating the best distribution solutions for each of our clients and their music.